Did you know that there are lots of ways you can make some extra money selling your original artwork online? If you’ve ever been curious about how you could make money with your creativity, this post has answers to all of your top questions. Even better, we’ll offer up some of our favorite strategies for selling art over the internet that you can use today. How do people sell artwork online? What kinds of art products do people sell online? How do people make money selling art online? How do you start selling your online art products? How can I pick the right custom art site? In this article, we’ll walk through the process of what we know best: selling custom apparel art. However, the steps outlined here will be similar when selling all kinds of art online. Ready to start selling your artwork on the internet? Let’s dive into these awesome ways you can make some extra money with your art. 1. How do people sell artwork online? The biggest hurdle you’ll face in the beginning is determining how you’ll capture people’s attention and inspire them to purchase your artwork. Since the advent of the internet, there’s been no shortage of new and innovative ways to set up digital storefronts. This gives you a lot of freedom in how you choose to share your artwork, conduct transactions and manage your burgeoning online business. An online marketplace like eBay. These websites allow you to create a profile, upload information about your art, set prices, and conduct transactions all through a single system. However, making your mark on websites like these can be really tough, and you’ll need to have your art products produced before you launch your sales page. A custom product website. On these sites, you can create customized campaign pages and upload your designs. Then, your art buyers will have the freedom to add your designs to different custom products you offer. These sites also produce your art products for you as people order them, so you never have to worry about underselling your stock. Our suggestion? We recommend partnering with a custom product website to produce your artwork. Not only are these sites more cost-effective, but they’re also popular with a wide range of online art buyers. In the next section, we’ll dive into why people prefer purchasing custom art products over traditional online artwork, and exactly what sorts of products one can choose to sell. Bonus! Interested in pairing the flexibility of a digital storefront with the convenience of a custom product website? Be on the lookout for Bonfire’s new service called Storefronts. Through Storefronts, you can launch your very own online store to sell your custom art. 2. What kinds of art products do people sell online? One of the benefits of opting to sell custom art products is that there are so many different things you can customize.All you need to get started is to choose a site that offers the products you think would suit your artwork the best! People prefer buying art that’s tangible, especially goods that they can use in their everyday life. Whether they’re displaying your art in their home or using your products throughout the day, you want to be sure you’re offering consumers the kinds of goods they’re interested in. Clothing. Did you know that you can create wearable art by printing your original designs on clothing? 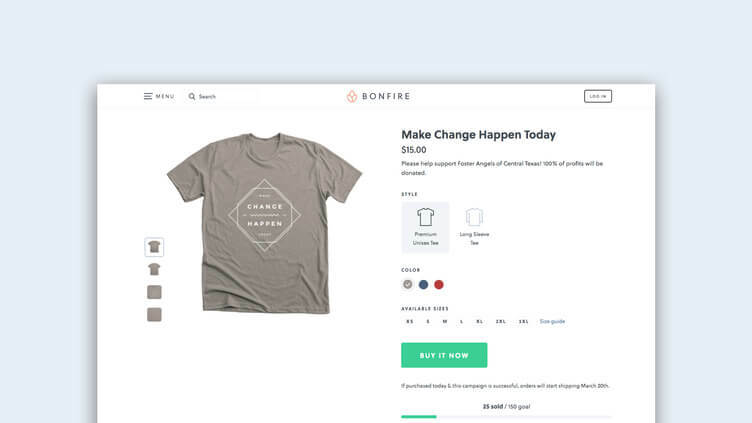 Use a platform like Bonfire to upload your designs, pick the clothing items you want to offer, set prices, and then your customers can purchase the shirts they’d like directly from your sales page. Framed prints. When you think of custom art, the first thing that comes to mind is likely traditional framed art print. You can offer supporters their pick of your art portfolio and custom framing options to drive their interest in these goods. Posters and tapestries. These are a more affordable alternative to custom framed prints and might be more suitable for artists trying to attract younger art buyers. Your target audience for these products is likely college-aged. For those just starting out, we recommend creating custom clothing art! Not only is this an affordable way to get started selling your art online, but your supporters will also love having the chance to buy art they can actually use in their day-to-day life. And the best part is that with Bonfire, it’s completely free to get started! Test out designs to see what will sell best, without buying any inventory up front. Do you think creating custom apparel sounds right for your needs? 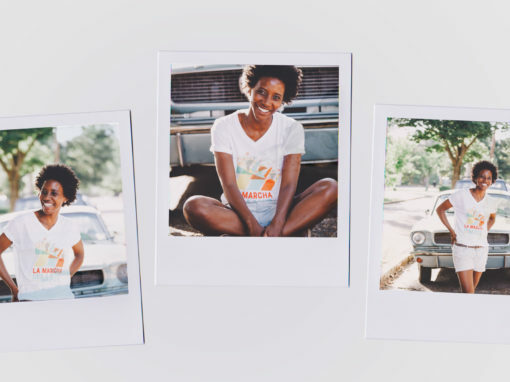 Let’s take a deeper dive into how you can get started making money selling t-shirts, sweatshirts, tank tops, and more. 3. How do people make money selling art online? You can get started making money by selling your art in a variety of ways. No matter your business needs, there’s a custom apparel website out there for you. Online storefront campaigns. On a site like Bonfire, you can set up a sales page that’s completely customized to your business. Upload your designs and then choose from a variety of apparel products to offer your supporters. You can share a link to your online campaign across the web to drive sales. Fundraising campaigns. For those interested in making extra money for a good cause, you can also set up fundraising campaigns that are fueled through sales of your apparel art. These work very similarly to for-profit campaigns and can be customized to the cause you want to support. Bulk stock orders. Let’s say you want to create custom apparel, but you’re more inclined to sell your art on your own website or at a traditional store. Never fear! There are custom apparel art websites that have no minimum order requirements so you can bulk order your unique designs, and sell your products however you choose. Which of these websites sounds like the best fit for our online art business? With Bonfire, you can choose to sell your apparel any way you like. Whether you want to sell your art online through a campaign, are raising money for a good cause, or want to build up your stock of products, Bonfire has everything you need to get started. 4. How do you create products for your artwork that will make money? Ready to get started selling your custom apparel art? 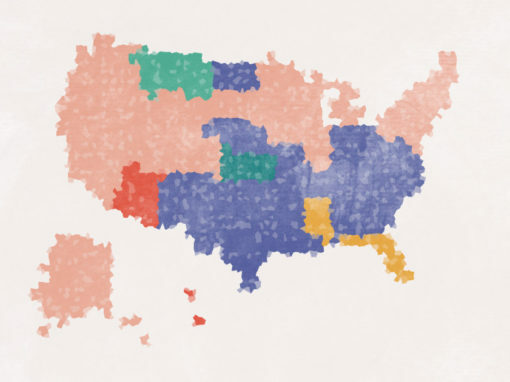 It’s time to break down exactly how this will play out for you when you launch an online campaign. First, you’ll need to ensure that you have a high-quality digital art file of the design that you want to see printed on your apparel. A .PNG file with a transparent background is always preferable, but .GIF and .JPG files are acceptable so long as they have a high enough resolution. Bonfire takes extreme care to ensure that each and every design we print will look awesome. Our 5-Step Design Review Process enables us to work directly with you to bring your creations to life. Once you upload your design, you’ll have the opportunity to customize your product or products. We recommend choosing a variety of apparel types to appeal to a wide audience. Give your supporters the tools they need to make their product unique by offering their pick of fabric colors, too. Make your design really pop on the apparel options you choose by choosing light shirts for dark designs and dark shirts for light designs. Only offer fabric colors that work well with the design. After you’ve determined what your apparel art will look like, it’s time to set prices for your campaign. If you order in bulk you can determine your price structure later on, but for online campaigns, you’ll need to set prices before your page goes live. Be sure to set a profit margin that makes sense for your business. If your margins are too low, you might not maximize the benefit of your art sales. Remember that the more products you sell, the more your profit margins will increase. Finally, launch your art apparel page and promote your products! You can make connections with supporters over social media and drive traffic to your online storefront. Or, you might build an email list of art fans and market your page to them through a digital newsletter. Remember, the most successful Bonfire sellers have an established community before they start selling t-shirts. Learn more about building your audience in the Bonfire Seller Guide. 5. How can I pick the right custom art site? If you’ve read up to this point, you’re probably getting inspired to start selling apparel art of your own. Now that you know what kinds of campaigns you can launch and how you can get your sales off the ground, there’s one last thing to learn: what to look for in your custom apparel art site. With no order minimums. You shouldn’t be worried that you’ll need to meet a particular benchmark to start your apparel sales. Pick a site that lets you order as many or as few products in bulk as you’d like as you test the waters selling your apparel art. That doesn’t charge you until you turn a profit. You want to know that your online partner won’t charge you a dime until after you start making money from your campaign. This way, you’ll never lose money experimenting with your apparel art. With low production costs. Don’t spend an arm and a leg getting your art produced. Partner with a custom apparel website that manufactures your art efficiently so you can turn a profit as soon as possible. Think that’s a tall order for a custom apparel website? Think again! Bonfire is the easiest way to design and sell custom apparel online and offers artists, like yourself, all of the tools you need to get started selling your art online. Plus, features like the ones above that are designed to make selling your apparel art as easy as possible. You’re just getting started in the world of online art, so you want to trust that your digital partner takes your needs seriously. With Bonfire, you can be confident in designing unique, compelling apparel art for your supporters without overextending your budget. If you’re curious about selling your art online to make some extra money, partnering with Bonfire should be your next step! Now that you’ve brushed up on the answers to your top online art questions, you’re ready to start sharing your custom apparel art with the world. How to Design a T-Shirt. 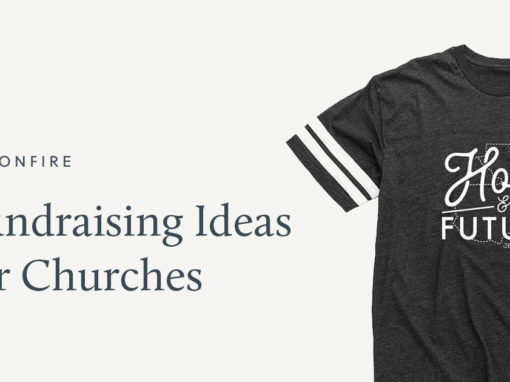 Check out this easy to follow guide that will help you create a shirt your community will love. Bonfire’s Instagram. Visit our Instagram page to see how other artists have found success by printing custom apparel. Making Your Own Custom Merch & Apparel. Learn how to properly create, promote, and sell custom merchandise and apparel.